City kid? We all know it’s the greatest. Why? Growing up in the city gives you more experience on the street. Think about it: others are stuck in a traffic tie-up with their mom. 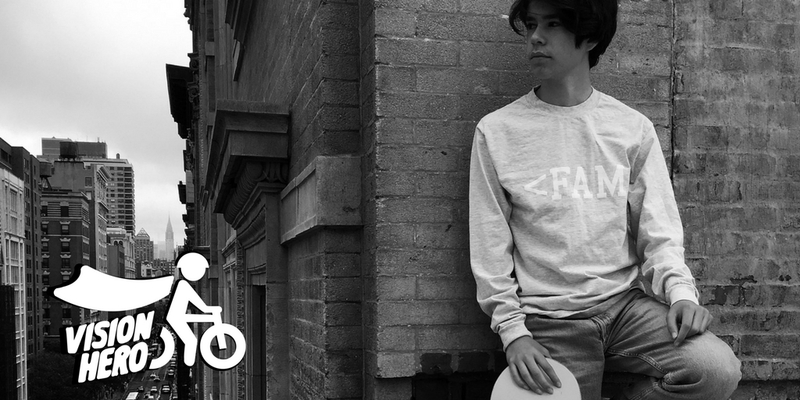 You’re walking, boarding, or biking, taking the bus or train! Fun fact: Having many ways to get around is called multimodal transportation. Here’s more info about multimodal transportation. NYC had this crazy, awesome idea that if we’re all a bit smarter and more careful on the streets, no one has to die in a crash. It’s called Vision Zero. 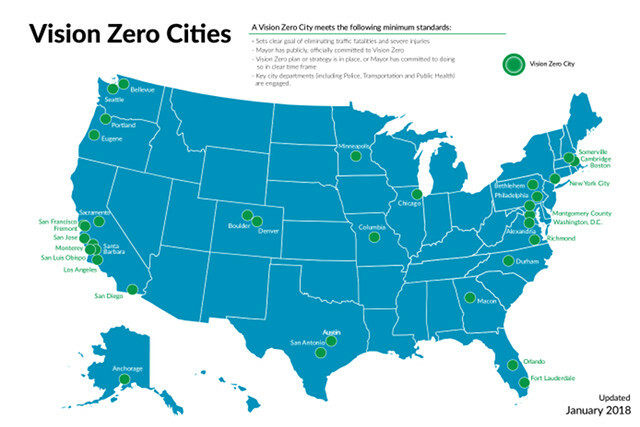 There are now 34 cities — like Seattle, Portland, NYC, and Washington, DC — who agree. Here’s how to be a VisionHero for Vision Zero, and how to see and be seen out there on the streets. Life moves pretty fast in the city. If you don’t stop and look around, you could regret it. Help avoid a crash by looking around (“seeing”), and if you can, take some steps to help others see you, too. It may only take you a few minutes to get from point A to point B, but a lot can happen if you’re not paying attention. Things you do all day without even thinking are not exactly safe when crossing the street. Especially if boarding or biking across the street. Part of being savvy in the city is being smart about the world around you. The city is distracting, and some distractions can be dangerous. And not just dangerous–deadly. You don’t need to be scared, but don’t be stupid either. You’ve probably heard that texting and driving is bad. Well texting and walking is not such a great idea either. In 2014, a Safe Kids study showed that teens are significantly more vulnerable in the traffic environment. 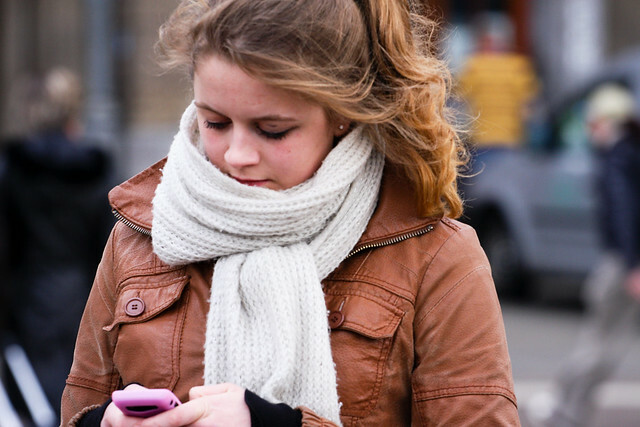 What’s more…in a survey of over 1,000 teens, they said they were often distracted while walking. So many things can happen when you’re crossing the street. A random car may be blocking the crosswalk. A driver could turn without using their turn signal. A bike could run through the red light. It’s impossible to predict what other cars will do, so look up from your phone and focus on what’s in front of you. Even better: step off to the side to message and keep going after you’re done. If you’re looking at your screen, how do you know an approaching driver isn’t looking at theirs? Don’t assume that drivers see you. Make sure. Make eye contact with them. 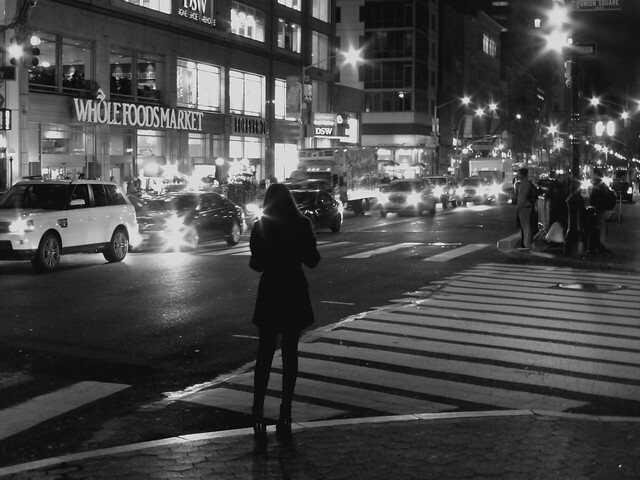 Texting while walking gets a lot of attention, but listening to music is also dangerous. If you’re wearing earphones, flipping through Musical.ly, walking down the street, be extra careful. And not just because you might embarrass yourself. Not paying attention can actually be kind of like going temporarily blind. You could really put yourself at risk. Wearing earphones while walking causes what’s called “inattentional blindness” as illustrated in The Monkey Business Illusion. Of 116 people injured while wearing headphones, 81 died. Scary. I was walking down the street with my earphones on when suddenly gotta be you started playing… then a bus hit me..
Use earbuds or earpods instead of noise-cancelling headphones. Pop off one earbud or headphone. Hey, we’ve all done this at some point, right? Please think twice before you do it again. People should already be in the crosswalk or even nearly across by the time it starts flashing. Not just starting to cross. It’s tempting to cross the street once a signal starts flashing. But it’s not the safest idea. What if you drop something important, like your phone or MetroCard? Will you have time to pick it up before the signal turns? While pedestrian signals are used as a guide to help you cross the street safely, you make the final decision. Make sure you have enough time to get safely across when the red hand starts flashing. Make a smart choice! We shouldn’t have to say this, but don’t cross the street when there’s oncoming traffic! Crosswalks and crossing signals are often the law. But drivers fail. Your life is yours. It’s up to you to decide if you can safely cross. And you’ll never know what’s coming if you’re not watching. High traffic roads have crossing signals you activate by push button. If the road has a lot of lanes, a long crosswalk, or faster traffic, it may have an island. It may be safer to island hop than rush to cross. Use extra caution. But don’t rely on crosswalk buttons. Many crosswalk buttons don’t actually work! So pushing the button doesn’t mean the light will change right away. Some intersections have weird angles. Cars make the turns faster. It’s hard to see if oncoming traffic is going to turn or not. Do this: Look both ways before crossing and continue to scan the street as you cross. One of the biggest threats to pedestrian safety is turning vehicles. So protect yourself, and look for them, again, and then again after that! Walking at night, mist, fog, etc. It’s hard to see! You (and others!) see half as well. Be twice as careful. During the evening, night, rain or fog visibility is low. That means it’s harder for drivers–and walkers–to see clearly. Be seen! Wearing light colored and/or reflective clothing makes you more visible. You can buy reflective duct tape at a hardware store and add strips to your clothing and gear. Even if you’re walking, it’s good to have a forward-facing headlamp and a rear-facing red light. In some cities it’s the law for cyclists. But no matter what you or your bike are sporting, it’s important to be extra careful and aware of your surroundings. So, especially when it’s harder for cars to see you: Keep your eyes and ears on the street, not your phone or your music. It’s awesome to use a lot of ways to get around the city. 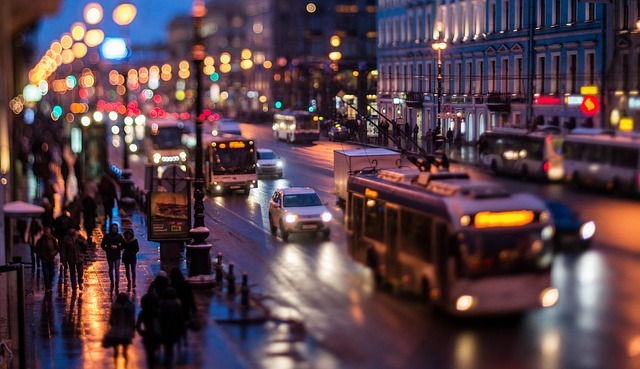 Knowing how to get around the city means you’re street smart. Use those smarts to show respect, be green, and survive.